At Superior Coatings of America, leadership has combined 45 years of experience in industrial, military and safety sales, along with diverse knowledge in supply chain management to deliver the very best customer solutions. Please contact us to discuss your specific needs - our unique production capabilities offer countless ways to solve your coatings and supply chain needs. It's simple - our team is your team. Lean on Superior Coatings to take the hassle out of sourcing your most critical coatings components. Service is our signature... where you may be just a number to the large manufacturers, at Superior, you're our top priority. Since our founding, Superior Coatings of America has been about problem solving. Providing the known solutions quickly and cost effective. But also about taking the time to tailor a solution for your needs. Faster. Smarter. Price Friendly. Customer Oriented. This is the service we deliver - timely and effective solutions, no matter the challenge. It's what we've done for combined 45 years and we continue to perfect everyday. 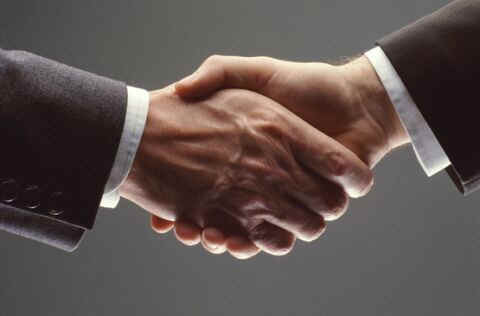 This website is operated by Superior Sales & Distribution. Throughout the site, the terms “we”, “us” and “our” refer to Superior Sales & Distribution, d/b/a Superior Coatings of America. Superior Coatings of America offers this website, including all information, tools and services available from this site to you, the user, conditioned upon your acceptance of all terms, conditions, policies and notices stated here. We reserve the right to refuse any order you place with us. We may, in our sole discretion, limit or cancel quantities purchased per person, per household or per order. These restrictions may include orders placed by or under the same customer account, the same credit card, and/or orders that use the same billing and/or shipping address. In the event that we make a change to or cancel an order, we may attempt to notify you by contacting the e-mail and/or billing address/phone number provided at the time the order was made. We reserve the right to limit or prohibit orders that, in our sole judgment, appear to be placed by dealers, resellers or distributors, without prior authorization. By purchasing from Superior Coatings of America, you agree to allow Square.com to securely process your credit card information. This information can be used to make complete or partial payment transaction and reference transactions. As most products are made to order, customer will only be charged when items are available to ship, either via ground or air shipping. In no case shall Superior Coatings of America, our directors, officers, employees, affiliates, agents, contractors, interns, suppliers, service providers or licensors be liable for any injury, loss, claim, or any direct, indirect, incidental, punitive, special, or consequential damages of any kind, including, without limitation lost profits, lost revenue, lost savings, loss of data, replacement costs, or any similar damages, whether based in contract, tort (including negligence), strict liability or otherwise, arising from your use of any of the service or any products procured using the service, or for any other claim related in any way to your use of the service or any product, including, but not limited to, any errors or omissions in any content, or any loss or damage of any kind incurred as a result of the use of the service or any content (or product) posted, transmitted, or otherwise made available via the service, even if advised of their possibility. Because some states or jurisdictions do not allow the exclusion or the limitation of liability for consequential or incidental damages, in such states or jurisdictions, our liability shall be limited to the maximum extent permitted by law. You agree to indemnify, defend and hold harmless Superior Coatings of America and our parent, subsidiaries, affiliates, partners, officers, directors, agents, contractors, licensors, service providers, subcontractors, suppliers, interns and employees, harmless from any claim or demand, including reasonable attorneys’ fees, made by any third-party due to or arising out of your breach of these Terms of Service or the documents they incorporate by reference, or your violation of any law or the rights of a third-party. These Terms of Service and any separate agreements whereby we provide you Services shall be governed by and construed in accordance with the laws of PO Box 409 Clinton, MI 49236, United States. 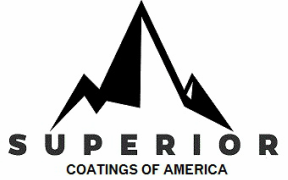 Superior Coatings of America makes material to order, by the specification. Whither ordering topcoat, primer, thinner or any other type of material, these products are custom made to the spec you need and to the color requested. Due to this unique ordering and manufacturing process, we do not accept returns on shipped material. If you have made a mistake on your order, and would like to cancel it before it ships, please contact us. We will make every effort to cancel production and issue a refund. However, we make no guarantee of our ability to issue a refund, due to the stage and process of production at time of request of cancellation. Superior Coatings of America only ships using FedEX. We charge $25.00 for Hazmat Packaging and offer free ground shipping on each web order, as products require special packaging. We can also ship against your FedEX account number with your purchase order and credit card. If at any time you would like to unsubscribe from receiving future emails, you can email us at sales@superiorsalesdist.com and we will promptly remove you from ALL correspondence.